32,000 square metres in total. Incorporates 15,600 square metres of automation equipment. Capable of picking, processing and packing 375,000 items per day. Said to shortens delivery times from days to hours. 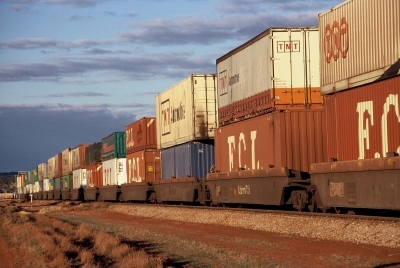 Toll Global Logistics president Chris Pearce said the market is placing aggressive demands on retailers to provide fast fulfilment and delivery, without increasing costs. 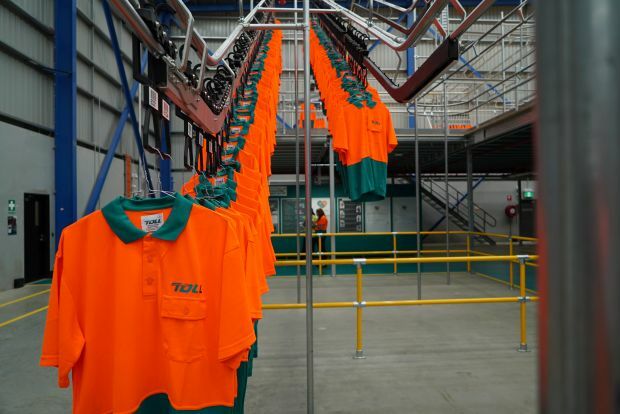 “Toll’s investment in the new facility is helping retailers adapt to the new environment. The facility is equipped with $50 million in advanced automation technology so retailers can deliver their e-commerce orders faster and in a much more economical way,” Mr Pearce said. The facility will be one of the country’s most advanced e-commerce fulfilment centres, transforming the way retail orders are picked, processed, sorted and delivered to customers. “Retailers will benefit from the ability to deliver goods to their stores and direct to customers faster and more efficiently. And shoppers will enjoy flexible order times and faster processing so they can receive their purchases within hours not days,” Mr Pearce added. The facility was constructed in collaboration with apparel retailer Specialty Fashion Group (SFG), Toll’s anchor tenant at the new site. Toll and SFG worked closely to design the facility with scalability and future growth in mind. “At Specialty Fashion Group, we’re constantly looking to improve the omni-channel experience for our customers, which includes offering faster and more convenient delivery options for online and ‘click and collect’ orders,” said SFG’s general manager logistics Alex Linton. “We have a highly specialised supply chain, so we needed a customised solution that would meet our ongoing needs as a retailer. We’ve worked with Toll to develop the site – from the initial design and development through to build, operation and delivery – and we’re excited to see the state-of-the-art capability in action,” Mr Linton said. The facility operates as a shared, multi-user facility, with capacity to support additional retailers and their supply chain operations. It offers complete omni-channel capability to help retailers adapt to the changing needs of their customers in an ever-competitive sector. The combined Prestons site will provide jobs for around 200 operations workers, technicians and engineers. The new facility achieves safety and environmental initiatives such as reducing the probability of safety incidents through a 70 per cent reduction in manual handling. The facility also has a four-star NABERS rating, is fully LED lit, uses rainwater harvesting and has a carton recycling machine. The site is ideally positioned on the corner of the M5 and M7 enabling convenient transport links to deliver at greater speed-to-market.